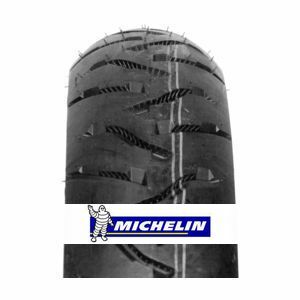 The Michelin Anakee 3 tyre provides reliable and comfortable handling. High-level performance and excellent quality/price ratio guaranteed. I am sure it is a good tyre, I dropped the wrapped tyres at my fitters but noticed the tread pattern was odd on the front after I had the tyres fitted. I had an Anakee 2 tyre delivered instead of the Anakee 3 I ordered. Should have unwrapped and checked the tyres was what I ordered before fitting. Better luck next time. Good tyre, responsive and true with an excellent positive ride. Will have to let you know later about wear after done some mileage. I believe these are the best adventure tyres I've bought. They are very good value and lasting me longer than any other tyre on this bike. I'm hoping to get at least 8,000 miles out of them. To review the Michelin Anakee 3, you first have to log-in by clicking here.